In Chapter 9 of Sell Your Books, I cover how to make the most of promotional events, dwelling mostly on book launches. But there are many other events that you can use to reach readers, from the humblest local fete to the grandest literary festival. My ears therefore pricked up when I heard about a local self-published author, Lucienne Boyce, who had managed to get a gig at one of the most prestigious book-related events in the UK – the Cheltenham Literary Festival, reading her debut historical novel, To The Fair Land ( a great book, by the way – I’ve reviewed it here). Intrigued, I asked her how she did it – and discovered that this event is not her only conquest. I’m pleased to welcome Lucienne to Off The Shelf today to share some tips on how to use events to help you sell your books. Q) Lucienne, I was really impressed when I heard you’d been invited to take part at the Cheltenham Festival of Literature, alongside the nation’s literary greats! How did you get that gig? A) Well, I didn’t really mix with any of the literary greats but it was nice to be in Cheltenham! There’s a stream of events called “Locally Sourced” which features local writers. Submissions are invited via the Society of Authors. You are asked to send a copy of your book and then the Festival organisers decide what sort of event they want to fit you into. A couple of weeks ago, I went to a very interesting meeting of the local Society of Authors group when the artistic director of the Festival, Sarah Smyth, came along to give us a talk about the Festival and also ask for feedback about what sort of events we thought they might include. She emphasised their continuing commitment to “Locally Sourced”, and said they are inviting submissions again this year. It’s another good reason to be in the Society of Authors if you can, not only for opportunities like this but also for the advice and help they can give you on all aspects of writing. Q) You’re also involved in organising events yourself, in league with local interest and local history groups. Which came first: your love of event management or your writing? Did you consciously start organising events to raise awareness of yourself as an author and your books, or is that just coincidence? A) Actually, I wouldn’t say I love event management! It’s really hard work and often very frustrating too, chasing people and keeping your eye on the detail – especially when I’d rather be writing! But, like a lot of things that are very hard to do, it also comes with great rewards – the feeling you get when an event happens and people enjoy it is unbeatable. But it’s my writing that comes first and, yes, I organise events to raise awareness of myself as an author. Having said that, I love meeting people at events, I love working with other writers, and I love it if someone asks a question I can answer and then I can feel I’ve been helpful in some way! Q) How much have these events helped you sell more books? A) It’s hard to quantify really. I don’t look at it as, “Oh, I’m doing an event and I have to sell x number of books for it to be worthwhile”. Building up a profile takes time, and there are so many facets to it – you want to build relationships with readers, Festival organisers, interest groups and so on, and (although you could say everyone is a potential reader) they are not all the same. If people buy my books, I want it to be because they think they’ll enjoy them, because they’re interested in me as an author, because they’re interested in my work, and doing events is one way of sparking that interest. Q) Which events have you been involved with in the last 18 months, and which events do you have planned for the next year? A) Last year I was in an event in the Bristol Literature Festival with fellow SilverWood author Helen Hollick and HNS colleague Jenny Barden, when we looked at issues around writing and researching historical fiction. I’m involved in organising and participating in events as part of the Historical Novel Society’s “Meet the Historians” initiative, which brings together teams of historical experts (writers, archaeologists, archivists, etc) and members of the public. The first “Meet the Historians” event was in April this year, when I was joined by Bristol author Lizzie Lane and staff from Bristol Reference Library and the Bristol Record Office to talk about researching local historical place. That event was part of Bristol Library’s “Writing Britain: Bristol Writing” exhibition. As well as talks, I’ve also done a few local radio interviews, in particular one on International Women’s Day on 8 March on BCfm community radio, when I answered questions about the Bristol suffragettes. It was a lovely day, and it was great to see so many events going on to celebrate IWD. I’m talking about suffragettes again on the Women’s Outlook programme on Ujima Radio on 29 May. I’ve got quite a few suffragette events coming up. 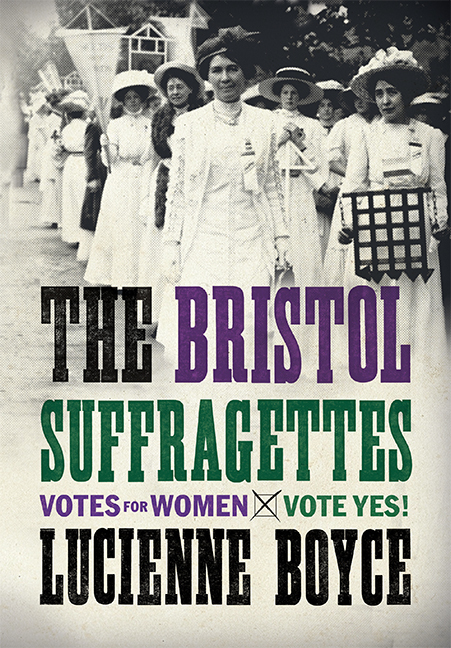 There’s the launch of my new book, The Bristol Suffragettes, at Foyles on 19 June – everyone’s welcome to come to that! A few days before that I’m speaking at the West of England & South Wales Women’s History Network Annual Conference on 15 June. I’m offering a suffragette walk on Sunday 7 July, as part of the Dreadnought South West celebration of the 1913 Suffrage Pilgrimage, and on 13 July I’ll be joining June Hannam (University of the West of England), Dawn Dyer (Bristol Reference Library), and Lois Bibbings (University of Bristol) for an open discussion about the effectiveness of suffragette militancy at Bristol M Shed. Later in the year, during the Bristol Literature Festival, we have two more Meet the Historians events. I’m very excited about these, especially as I’ll be working with such fantastic speakers! On 19 October Manda Scott, Ben Kane, Professor Kate Robson-Brown of the University of Bristol and Museum curator Gail Boyle will be taking part in an event at Bristol City Museum and Art Gallery as part of the Museum’s “Roman Empire: Power and People” exhibition. Then, on 26 October, I’ll be a member of a panel with Julian Stockwin, Dr Steve Poole, and Adrian Tinniswood about Bristol’s maritime history at Bristol M Shed. There are details of these and other events on my website – and most of them are free! Q) How else do you network to reach potential readers, other than by holding events? A) I have a website which has information about my books and bits and pieces I hope will be of interest, and some resources which I hope will be of use to people. I also invite contributions to my Bristol Suffragette project and I’d really love it if that caught on and people saw it as a place to share information, comments, news about their own research, writing or stories…it’s really great to get an email from someone who wants to ask me a question or tell me their granny was a suffragette! I am going to launch a quarterly newsletter next month, which will let people know about forthcoming events, give-aways, work in progress and so on. I blog whenever time permits. My blogs tend to be researched articles or theatre or book reviews rather than chatty, gossipy pieces, and each one takes a long time to do, so I don’t do as many as I would like. I do use Twitter, but I don’t really use Facebook much at present except for one or two group memberships, though this is something I’m going to review. I’ve also been on GoodReads for a while but I haven’t really explored all the possibilities on there yet. 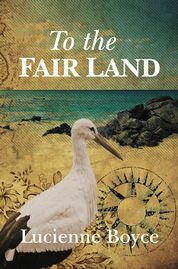 I’m very keen to reach out to book groups, and I’m currently offering a special discount on copies of To The Fair Land – with an author visit thrown in for free if the group’s interested. I love talking to reading groups: they always come up with such interesting questions and comments. I’m also keen to give talks in schools about the suffragettes and other topics. I’m surprised that even people who are studying the history of the franchise know very little – if anything – about the Bristol suffragettes, and how active the campaign was in Bristol and the south west. Q) I was delighted when you set up a book group for the HNS which is local to me, involving not just writers but readers of historical fiction. How is it going so far ? A) Thank you, I hope you and everyone involved in the group is enjoying it. I think it’s going well. (Ed: It’s fab!) We have group reads, which we select as a group, and I’m also keen to offer events and perhaps even arrange outings as well. We’ve just had our first talk, which was about a re-enactment of the Battle of Marathon, and coming in July is a talk about food in historical fiction. If the weather improves we may try a picnic using historical recipes! The meetings are open to anyone who loves historical fiction, or who just wants to know more about it, and it’s a mix of readers and writers. You don’t have to be a member of the Historical Novel Society to come along, and there’s no obligation to join the Society either. The Bristol Central Library have been tremendously supportive – I don’t think we could have a nicer place to meet. We have our own website with details of meetings, current reading and events. Q) What advice would you give to other authors thinking of organising events or book groups? A) For book groups, I’d say do a bit of research first. For example, for the HNS Group, I spent a lot of time looking at what other book groups do – you can start with The Reading Agency, for example. Your local library is a brilliant place to get advice – Bristol Libraries provides a lot of information on-line, but there are lots of other resources. It helps to think about what kind of group you want, and also to get tips on how to run a meeting, how to get discussion off the ground and so on. For events, the best advice I can give is: be organised, be responsive, be meticulous. Organised is obvious – don’t lose track of who you’ve contacted and what you’ve said to them. Responsive – listen to what the organisers – be it Festival, bookshop or interest group – want. Be meticulous – don’t forget the detail. Who’s putting water on the speakers’ table? What time can the audience get in to the venue? Who needs a projector, a flip chart, disabled access? As Wodehouse might have said, the devil is in the d. The better organised you are beforehand the more you’ll be able to enjoy the event on the day. And if you are participating, don’t go over time and don’t go off subject either. There’s nothing more nail-bitingly worrying for an organiser than when a speaker takes more time than they’ve been allocated – it can throw out the whole event, and is also horribly unfair on other participants – not to mention the audience, who may have buses to catch or need to rush off to another event or whatever. Q) Do you belong to any other book groups or writing groups? A) No, I find I get a lot from the Historical Novel Society both as a reader and a writer – I’ve been in the Society since it was founded. I am a member of the Women’s History Network, the Regional History Centre, and South West Scriptwriters – though frustratingly I’ve not had time to attend SWS for a while. Q) I really enjoyed your debut novel and was surprised when I learned your second book was to be non-fiction (but with an equally fascinating theme!) At first it struck me as unusual for a writer to do both, but on the other hand, it makes sense when a good historical novelist will spend a lot of time on factual research. How comfortable do you find that dual role and how natural a mix is it? A) Thank you, I’m glad you enjoyed To The Fair Land. Ever since I started writing, I’ve wanted to write about the suffragettes, and ideally a novel. In fact, my first attempt at a novel was about suffragettes – definitely one for the “bottom drawer”, I’m afraid! I had another go years later, but I’ve still not found the right story. I do have an idea in mind at the moment, but whether it will come to anything I don’t yet know. So I’ve been reading about and researching the suffragettes for a long time now, and it occurred to me that if my material didn’t suit a novel, perhaps there was another form in which it would work. Writing non-fiction was something I wanted to try anyway, and since I had all this information it seemed logical to put it together in The Bristol Suffragettes. In addition, I’ve always wanted to try writing a play, and again it occurred to me that, just as I’d perhaps found a form for some of the factual material, this might be a suitable vehicle for an imaginative element. So I’ve written a play about the Bristol suffragettes, which might work well in schools or for community groups. What I wanted to do with that was build up to the moment of betrayal at the end of the militant movement when, in August 1914, the Pankhursts diverted their organisation’s resources to the war effort. Just imagine how that must have felt to women who’d devoted their bodies and souls to the campaign for years! As for the mix of roles, it’s a question of how I organise my work really, because in fact I tend to have two or three projects on the go at the same time. So while I’ve been working on the suffragette book, I’ve also been working on a novel. I find the variety stimulating – but the bottom line for me is that the fiction comes first and everything else has to fit in around it. Q) Organising and attending events must be a great antidote to the isolation of the writer’s life – but to what extent is it a distraction rather than stimulation? A) I said I’d rather be writing than organising events, which is true, but in fact I don’t regard it as a distraction. It’s part of the job. Not my favourite part perhaps, that is writing and reading and burying myself in archives for days on end. But still it’s part of being a writer, and so far I’ve found that I get a great deal of satisfaction out of an event when it eventually happens. There’s also the sense of achievement – I know few people who find speaking in public easy, but conquering the fear that, as the time for you to start talking draws inexorably closer, is shouting in your ear “Run now – now!” is a very good feeling! 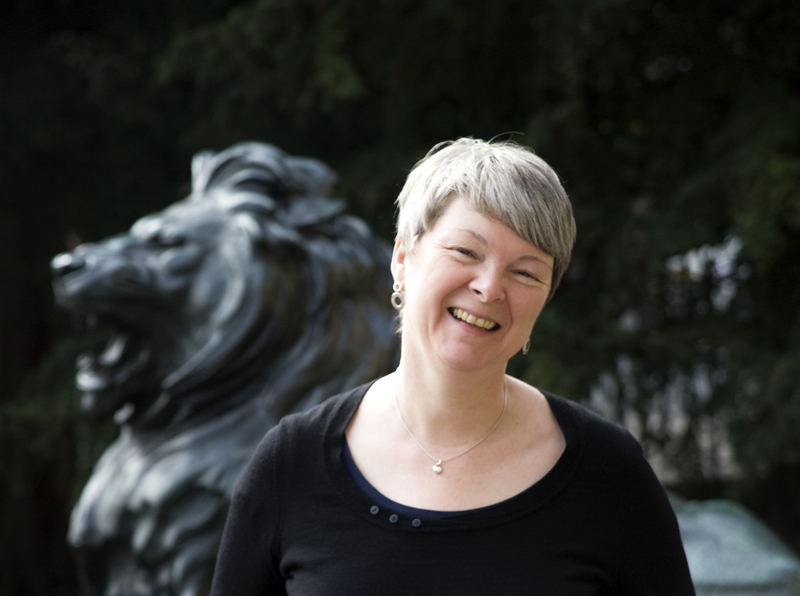 Q) Part of the charm of your first book, for me, was the vivid use of settings that I knew, both in London and in and around Bristol, where you are based. Has that helped you attract local attention in Bristol? Q) Re your imminent book launch, how did you first become interested in the local suffragette movement? A) When I first began researching suffragettes I was living in London, and so for a long time I didn’t know much about activism outside the capital. I moved to Bristol in the 80s and began to come across information in the library and so on. One particular impetus was the photograph I mention on the back of The Bristol Suffragettes, which I bought years ago in a market, of a group of local women standing under a suffrage banner. Seeing that really brought home to me the fact that women in Bristol and the south west were involved in the movement. I had to know more about them! As I got to know more about what went on here, I found that it was something that not many other people knew about either. Whenever I mentioned suffragettes hiding in the organ at Colston Hall to heckle an MP, or attempting to petition the King in Park Street, people would say, “There were suffragettes in Bristol?” Yes, here in these very streets! That’s why I’ve included a map and a walk in the book, because I wanted to share that excitement about how those tremendous events were also played out here, in our city. Q) Now that you’ve become so immersed in the history of the local suffragettes, can we look forward to a novel in that setting? If not, what are your plans beyond this book’s launch? A) I’m currently working on a novel set in the eighteenth century about a Bow Street Runner who is also a keen amateur pugilist – Dan Foster. In this story he’s been sent to a village near Bath to find the murderer of a gamekeeper, against a background of violent unrest over land enclosures. I have ideas for further Dan Foster stories and would love to write a series about him. I also have ideas for another non-fiction book about women in Bristol, and for another play, about bluestocking Hester Thrale. As for the next novel, I have lots of ideas I’m interested in – I keep an ideas folder and it’s stuffed with possible projects that excite me – I want to do them all! But the reality is that I will have to choose, so it’s a question of deciding which of them I am ready to devote the next two or three years of my novel-writing life to. Will it be suffragettes? Or more Dan Foster? Or something else altogether? Come back and ask me in six months! Q) You have a very busy, varied, interesting life and it’s no surprise to me that you’ve engaged the services of an assisted publishing house to get your books out there – and I’m sure it must have helped to have chosen a company that has a varied catalogue, able to produce books across a wide range of genres. How much time do you think they have saved you? What have the other benefits of taking that route been for you? A) Hard to guess, but I would think it’s pretty significant. I did look at the option of “doing it yourself” – organising cover design, printing, editing etc myself and, yes, it was largely the time it would have taken me to do those things myself that prompted me to get in touch with SilverWood Books. But it was more than that. I simply don’t have the skill to put a book together, in the same way I wouldn’t pretend I could rewire my own house or make my own shoes. So, I wanted someone I could rely on to provide that professional expertise. In addition, I think that using SilverWood to take on the project from beginning to end, in the same way a traditional publishers does, resulted in a much more consistent look and feel to the book. It also means I have a quality product which can stand beside any mainstream book, and in the case of some even outstrip them – only quite recently I’ve read two books from traditional publishers that are riddled with silly mistakes which should have been picked up in the editing stage (one from an academic house!). And, hearing about the experience of other writers, I have no doubt SilverWood provide as much, if not more, support with the marketing side of things than some traditional publishers offer. Thank you, Lucienne, for such comprehensive answers, and good luck with your book launch for The Bristol Suffragettes on 19th June! To contact Lucienne Boyce about any of her books or events, you can email her here or follow her on Twitter @LucienneWrite. You can order To The Fair Land here and pre-order The Bristol Suffragettes here.